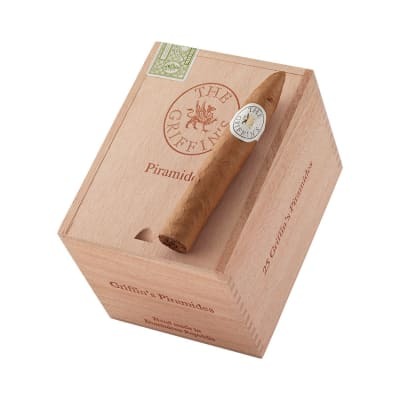 The Griffin's Piramides cigars are tailor-made for the cigar aficionado who prefers a milder after dinner cigar. 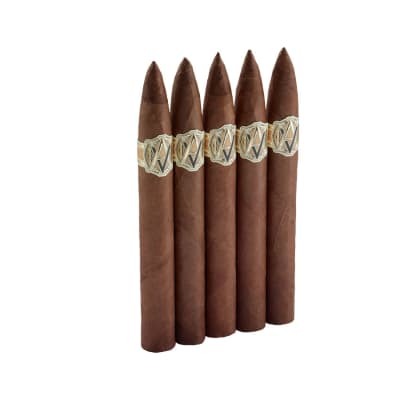 Perfectly cured and aged Dominican long fillers unite with the best U.S. Connecticut Shade wrappers for a mellow, yet rich tasting smoke brimming with sweet, nutty and herbal notes. Excellent, relaxing and smooth smoke. Nice nutty cedar aroma. I hate needing a vacuum pump to enjoy and will never buy a cigar with less than a 92 out of 100 draw, regardless of taste. Griffins always come through in this area. I give this smoke a 96. Great cigar. The Griffins brand is the very best cigar I have tried....and I have tried hundreds. 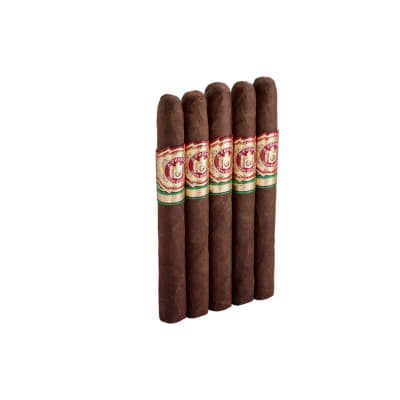 It is a mild smoke so if you like a full bodied cigar this isn't for you. 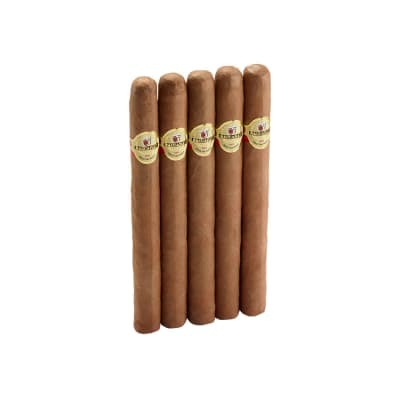 This is a creamy nutty flavor cigar that looks and burns perfectly. I have enjoyed quite a few different sizes of The Griffins with both Connecticut Shade and maduro wrappers. Both are quite smooth, creamy and delicious, drawing well. 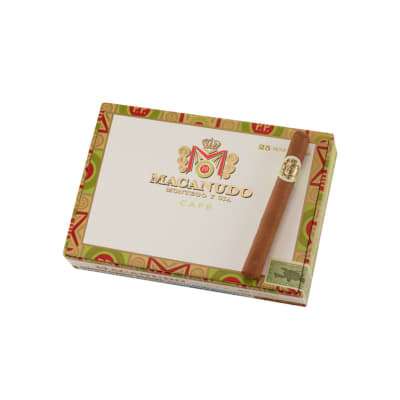 This is a Great special occasion cigar...even if you have to make up a special occasion to enjoy one.